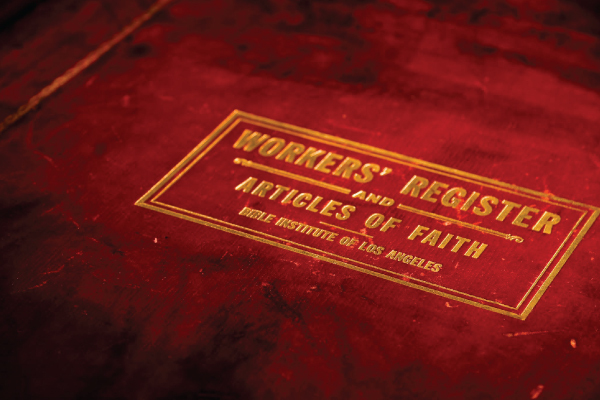 The Articles of Faith, presented here as originally conceived by the founders of the organization, have been and continue to be the stated theological position of Biola University and are an essential part of the Articles of Incorporation of the University. Where “man” is used referring to the human race it includes both genders. Our Lord Jesus was supernaturally conceived by the power of the Holy Spirit and born of a virgin - Mary, a lineal descendant of David. He lived and taught and wrought mighty works and wonders and signs exactly as is recorded in the four Gospels. He was put to death by crucifixion under Pontius Pilate. God raised from the dead the body that had been nailed to the cross. The Lord Jesus after His crucifixion showed Himself to be alive to His disciples, appearing unto them by the space of 40 days. After this, the Lord Jesus ascended into heaven, and the Father caused Him to sit at His right hand in the heavenly places, far above all rule and authority and power and dominion, and every name that is named, not only in this world, but also in that which is to come, and put all things in subjection under His feet, and gave Him to be Head over all things to the Church. The Lord Jesus, before His incarnation, existed in the form of God and of His own choice laid aside His divine glory and took upon Himself the form of a servant and was made in the likeness of men. In His pre-existent state, He was with God and was God. He is a divine person possessed of all the attributes of Deity, and should be worshiped as God by angels and man. "In Him dwelleth all the fullness of the Godhead bodily." All the words that He spoke during His earthly life were the words of God. There is absolutely no error of any kind in them, and by the words of Jesus Christ the words of all other teachers must be tested. The Lord Jesus became in every respect a real man, possessed of all the essential characteristics of human nature. By His death on the cross, the Lord Jesus made a perfect atonement for sin, by which the wrath of God against sinners is appeased and a ground furnished upon which God can deal in mercy with sinners. He redeemed us from the curse of the law by becoming a curse in our place. He who Himself was absolutely without sin was made to be sin on our behalf that we might become the righteousness of God in Him. The Lord Jesus is coming again to his earth, personally, bodily, and visibly. The return of our Lord is the blessed hope of the believer, and in it God's purposes of grace toward mankind will find their consummation. Man was created in the image of God, after His likeness, but the whole human race fell in the fall of the first Adam. All men, until they accept the Lord Jesus as their personal Savior, are lost, darkened in their understanding, alienated from the life of God through the ignorance that is in them, hardened in heart, morally and spiritually dead through their trespasses and sins. They cannot see, nor enter the Kingdom of God until they are born again of the Holy Spirit. Men are justified on the simple and single ground of the shed blood of Christ and upon the simple and single condition of faith in Him who shed the blood, and are born again by the quickening, renewing, cleansing work of the Holy Spirit, through the instrumentality of the Word of God. All those who receive Jesus Christ as their Savior and their Lord, and who confess Him as such before their fellow men, become children of God and receive eternal life. They become heirs of God and joint-heirs with Jesus Christ. At death their spirits depart to be with Christ in conscious blessedness, and at the Second Coming of Christ their bodies shall be raised and transformed into the likeness of the body of His glory. There is a personal devil, a being of great cunning and power: "The prince of the power of the air," "The prince of this world," "The god of this age." He can exert vast power only so far as God suffers him to do so. He shall ultimately be cast into the lake of fire and brimstone and shall be tormented day and night forever. 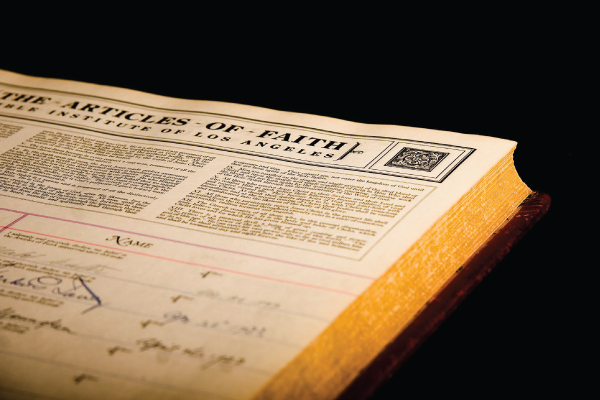 In addition to the Articles of Faith, the following Theological Distinctives indicate the University’s understanding of, and teaching position on, certain points that could be subject to various interpretations. In fulfillment of God’s historical purpose for humanity to rule and establish God’s kingdom on earth (Gen. 1:28; Ps. 8:4-8; Matt. 6:10; Heb. 2:6-9), the Scriptures teach a millennial reign of Christ with His saints on earth following His literal return. The nation of Israel, having been redeemed, will play a central role in bringing the blessings of salvation to all nations during the millennium in fulfillment of biblical prophecies (e.g., Is. 2:1-4; 11:1-12; Jer. 23:5-6; Ezek. 37; Amos 9:9-15; Zech. 14; Matt. 19:28; Acts 1:6; 3:19-21; Rev. 20:4-6). Following the millennium, this kingdom will be merged into the eternal kingdom (I Cor. 15:22-28). Before these millennial events, the believers will be caught up to meet the Lord in the air (I Thess. 4:13-17). The time of this “rapture” is unknown, and thus believers are to live constantly watchful and ready. The existence and nature of the creation is due to the direct miraculous power of God. The origin of the universe, the origin of life, the origin of kinds of living things, and the origin of humans cannot be explained adequately apart from reference to that intelligent exercise of power. A proper understanding of science does not require that all phenomena in nature must be explained solely by reference to physical events, laws and chance. Therefore creation models which seek to harmonize science and the Bible should maintain at least the following: (a) God providentially directs His creation, (b) He specially intervened in at least the above-mentioned points in the creation process, and(c) God specially created Adam and Eve (Adam’s body from non-living material, and his spiritual nature immediately from God). Inadequate origin models hold that (a) God never directly intervened in creating nature and/or (b) humans share a common physical ancestry with earlier life forms. Though there be many fillings of the Holy Spirit, there is only one baptism that occurs at the time of regeneration. The gifts of the Spirit are given to believers according to the Will of God for the purpose of building up the Church. 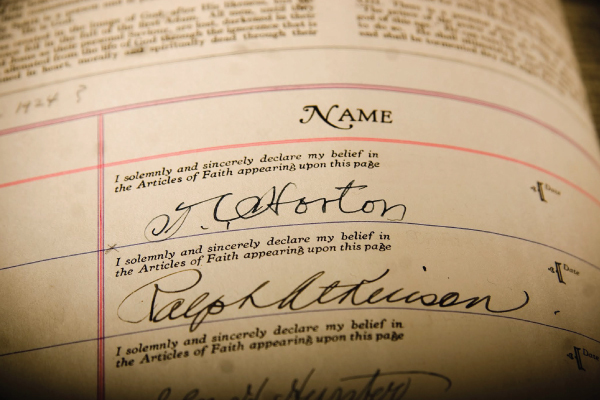 During the foundational era of the Church (i.e., the time of Christ and the Apostles) God gave special manifestations of the overtly supernatural and miraculous gifts (e.g., tongues, healings, miracles) as “signs” that witness to the validity of those bearing new canonical revelation (c.f. II Cor. 12:12; Heb. 2:3-4). Beyond the foundational era, God in His sovereignty may grant any spiritual gift and work miraculously for the benefit of His church at any time. The Bible is clear in its teaching on the sanctity of life. Life begins at conception. We abhor the destruction of innocent human life through abortion on demand, infanticide or euthanasia as unbiblical and contrary to God’s will. Life is precious and in God’s hands. Biblical marriage consists only of a faithful, heterosexual union between one genetic male and one genetic female, and biblical marriage is the only legitimate and acceptable context for a sexual relationship.